Placebo is an alternative rock band, formed in London, England in 1994 by singer-guitarist Brian Molko and guitarist-bassist Stefan Olsdal. The band also includes drummer Steve Hewitt. The band has had a long and storied career, collaborating with various artists over the years, such as David Bowie, Justin Warfield, Michael Stipe and Alison Mosshart. Their song “Song to Say Goodbye” is the second single from their fifth studio album, Meds, and was released in March 2006. A boy and his father, roles reversed. The lyrics of the song deal with the theme of wanting to get rid of something you’re emotionally tied to, or something you can’t shake. According to Brian Molko, the theme of “Song to Say Goodbye” is to keep “only the best aspects of your life” while ridding yourself of the rest. The music is very futuristic and dissonant sounding. It feels like it never resolves and that fits well with this idea that we are sometimes tied to a burden we may never rid ourselves of. Overall, the song does a great job of relating to an uncomfortable truth many people may live with each day. The boy wears gray chucks during the whole trip with his dad. The eight minute music video was written and directed by Philippe André. Released in April of 2010, it portrays a mentally challenged father and his young son spending a very long day together. The boy wears a pair of gray chucks that we see very often in this brightly lit video. 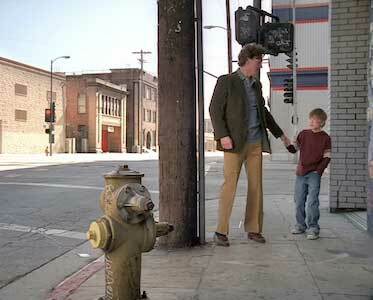 Throughout their adventure through the city, we see the son trying to cope with his dad’s condition. He constantly watches over and leads his dad around by the hand. He gives him pep talks, drives him around, and makes sure that he feels safe at all times. This is meant to be interpreted as a role-reversal between father and son, while also highlighting the strain mental illness can place on not only the person living with the disease, but their loved ones as well. 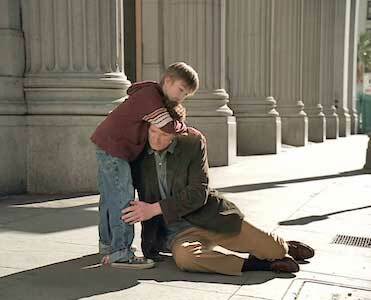 This dynamic plays into the meaning of the song, as this young child seems to want to be rid of his dad. Eventually, that’s what he gets as he drops his dad off at a mental health facility where he is taken away by nurses. It’s a touching piece that really highlights the bond of not only father and son, but also the unconditional love those living with special needs receive from the people closest to them. The boy keeps his dad going even when he doesn’t want to. Get yourself a new pair of chucks to say goodbye in by clicking on the links below.